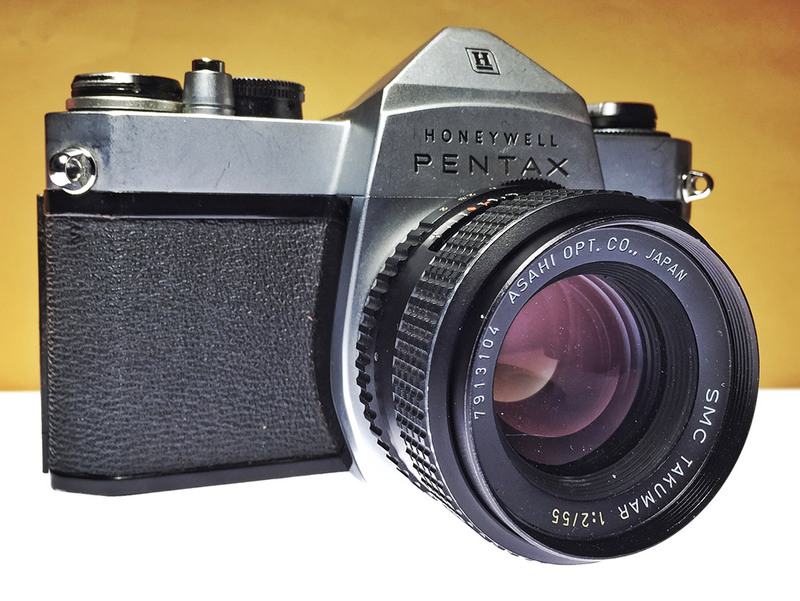 Still testing those box cameras from the plains, so this week I’ll tell you a bit about the Honeywell Pentax Spotmatic SP1000. And yes, this time I know exactly what it is. This camera came to me from a colleague, Kevin Simpson, who said it had been in his garage for decades. In fact, he gave me a whole kit including a couple lenses and a flash, too. 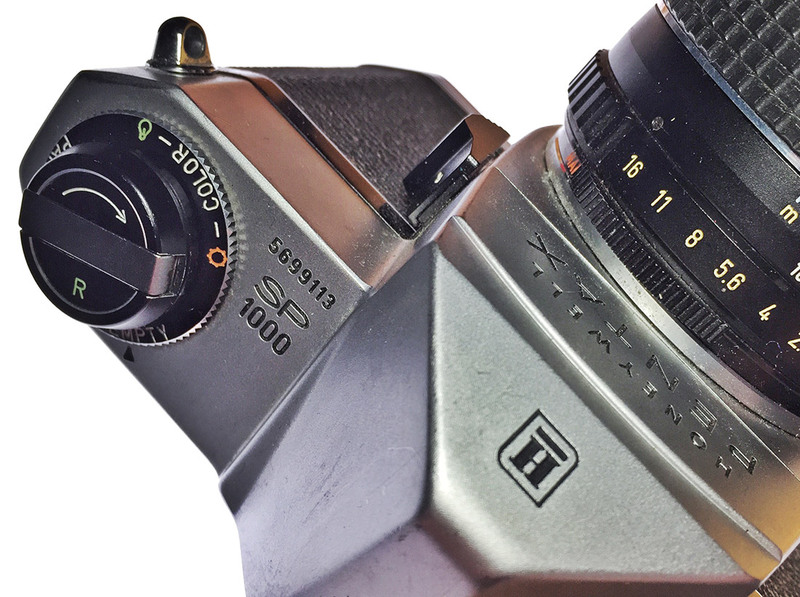 The SP1000 has no self-timer. That’s it — the whole comparison. Everything else is identical, from the 1/1000 sec. fastest shutter speed to the film reminder ring around the rewind knob, from the big, bright focusing screen to the simple-but-comfortable film advance lever. So I don’t plan on doing a full review of this particular camera; I think my prior review represents it well and, if anything, this camera only reinforces my glowing recommendation. Along with the camera I got a Honeywell Auto Strobonar 280S. It was Honeywell that invented the auto-thyristor flash in 1965, and the 280S is among the units that descended directly from that innovation. The main benefit of the auto-thyristor flash is that, theoretically, no flash calculation is required. Simply set your shutter at sync speed and fire away. 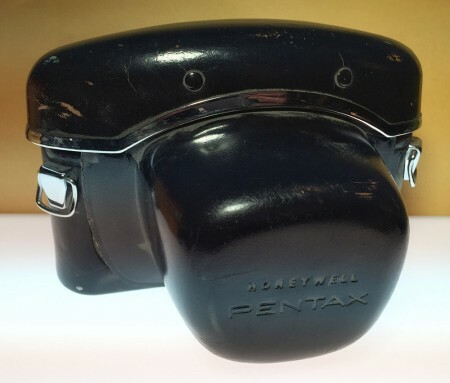 The lens attached to the camera itself is an SMC Takumar 55mm f/2, which is a reported gem. It produces a tiny bit of barrel distortion, and the sharpness and chromatic aberration reportedly suffer at the widest apertures, but reviews indicate that the lens is superb if stopped down a couple notches, and produces very well-regarded bokeh. 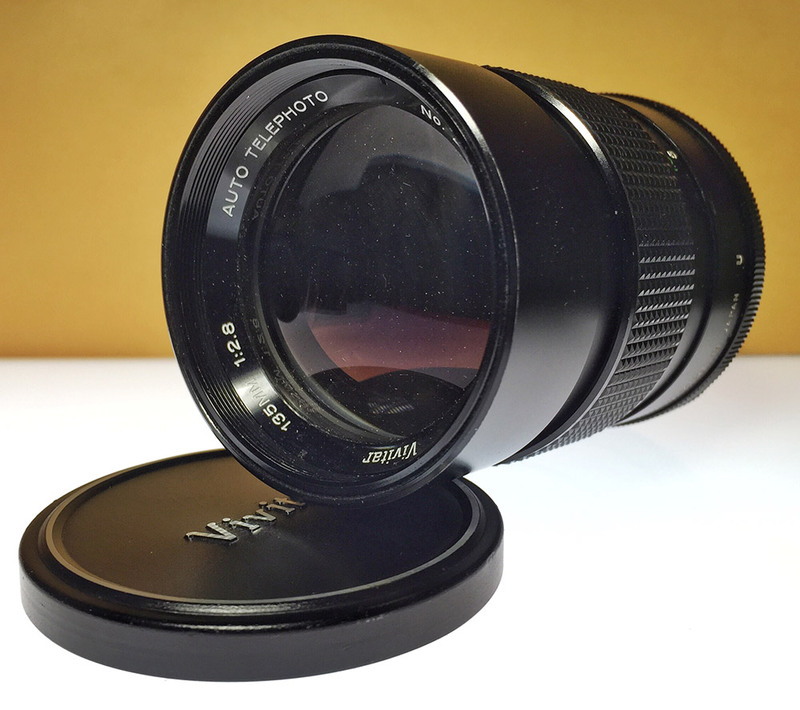 Also included in the package is a Vivitar Auto-Telephoto 135mm f/2.8 — another well-regarded m42 lens. A couple of lens cases, a vintage corduroy strap and a neveready case round out the package. I will probably test out the lenses and body separately at some point in the future, but wanted to share Kevin’s generous gift now. I have assured him that anything he gave me which does not enter by permanent collection will be donated to the Film Photography Project to support their mission of spreading the joy of film and supporting photographic education programs. Fellow #believeinfilmer Alan Brock posted his own video response this morning to Ben Horne’s astute “On being courteous,” itself a response to the open letter I responded to Tuesday. Additionally, I heard today from a friend of my mother’s who learned of the discussion through my post and said she’d recently had an experience like those we’ve all described, and that opting to find another spot and avoid potential conflict had led her to a deserted place and photos even better than she’d expected. The lesson remains: it pays to be courteous.